Rozana and her father Emrulla came to Saint Francis Hospital for a medical evaluation last week. Dr. Levchuck's expert staff performed an echocardiogram to confirm Rozana’s diagnosis of a hole in her heart. Dr. Levchuck examined little Rozana and confirmed plans for Rozana’s surgery. 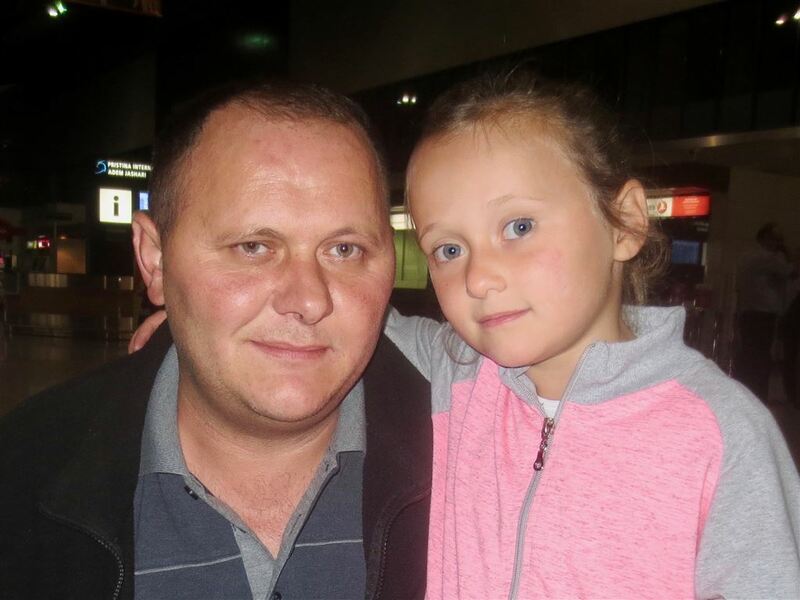 Rozana is a shy little girl fro Kosovo, who is adjusting to being so far away from home. The Ronald McDonald House of Long Island, Volunteers from the Manhasset Rotary Club, and The Gift of Life, Inc. are all working together to make her stay in the US full of once in a lifetime memories.